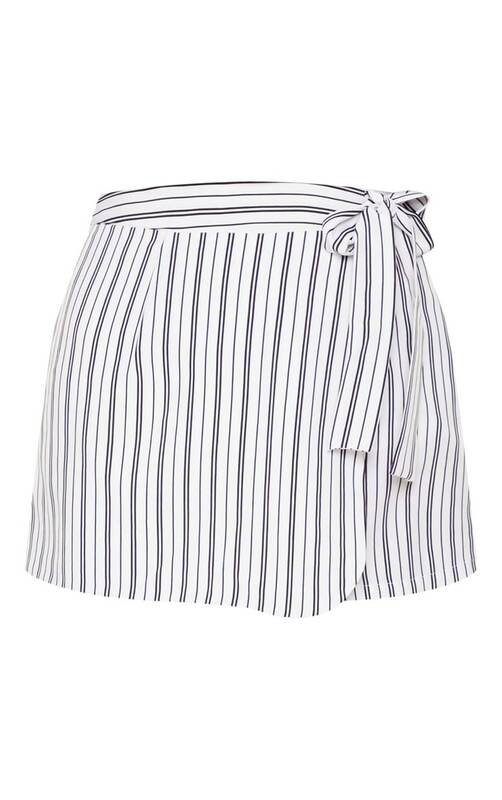 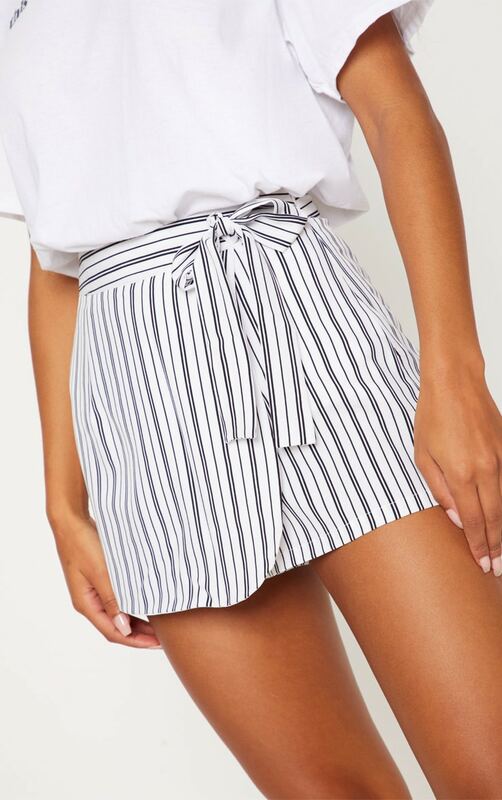 Give your off-duty wardrobe a cute finish with this skort. 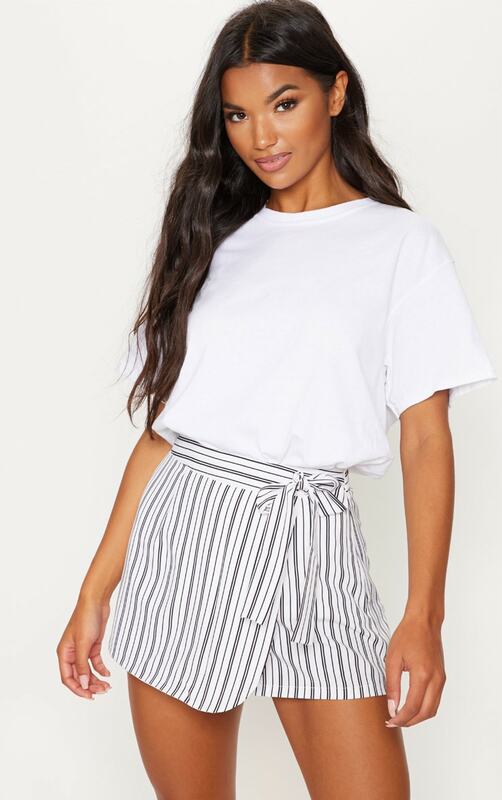 Featuring a lightweight monochrome stripe material with a side tie detail and a zip fastening. 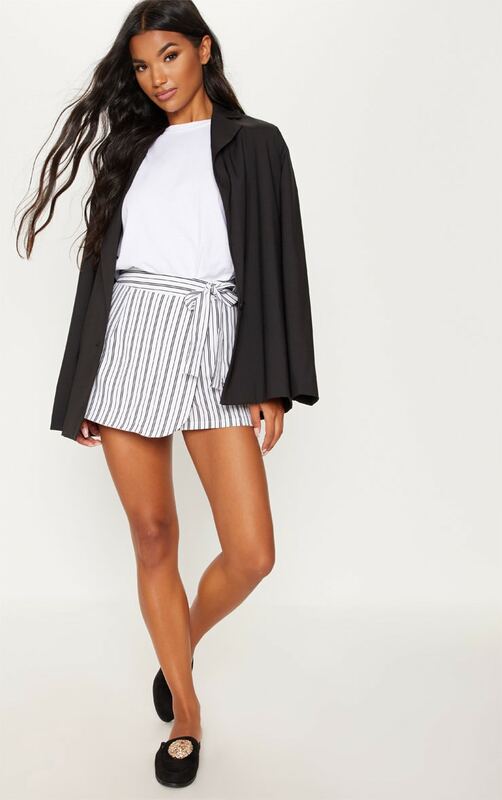 Team it with a white slogan tee, a blazer and mules for a look we're loving.